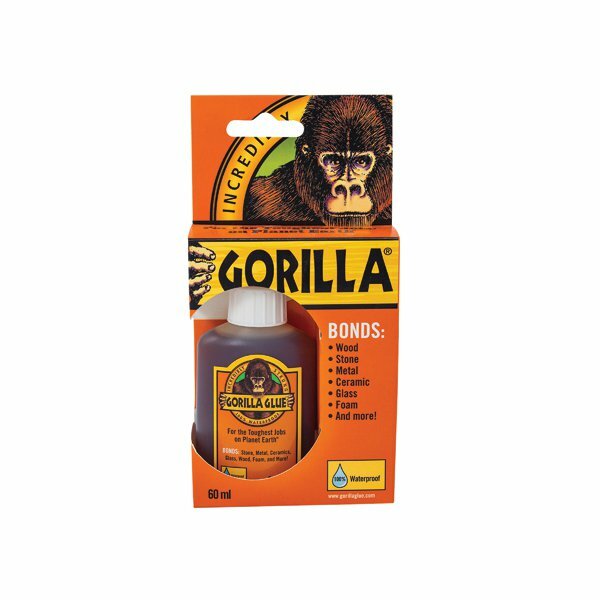 This incredibly strong, 100% waterproof Gorilla Glue bonds stone, metal, ceramic, glass, wood, foam, brick, concrete and more. The unique glue construction develops into a foam, which expands up to 3 times in size, penetrating surfaces for an extremely strong bond. Once dry, the glue can be painted, stained and sanded for easy finishing. This bottle contains 60ml of glue.